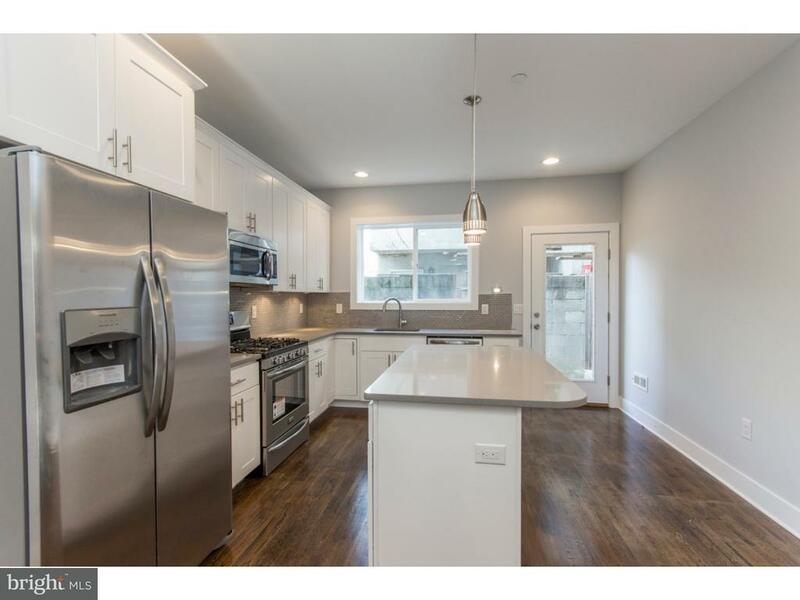 If youve been looking for a gorgeous new construction home located in one of the hottest neighborhoods, your search is over! 1423 S. 21st St is a stunning 3 bed, 2.5 bath townhome with high-end finishes. The first floor features an open floorplan and custom hardwood floors. The gourmet kitchen has GE stainless steel appliances, white Shaker cabinets, and quartz counters with bar seating. The second floor has two bright and sunny bedrooms and a modern hall bath with custom tilework. The third floor offers a master retreat with a large walk-in closet, and a full bath with double vanity and an oversized walk-in shower. Keep going up to check out the roof deck, which provides stunning views of Center City. If youre still looking for more living space, the finished lower level provides endless opportunities for a home office, gym or family room. With a bonus half bath, the possibilities for the space are endless. This home features an energy efficient HVAC system, video intercom system, and has top-of-the-line finishes throughout. Located steps from several great brunch spots, including Good Morning Breakfast, Point Breakfast, and The Tasty Toast, and just a short ride on public transportation to Center City or NJ. 10-year tax abatement approved. Please note, photos are of a similar project by the same builder. Dont wait, schedule your showing of 1423 S. 21st Street today!